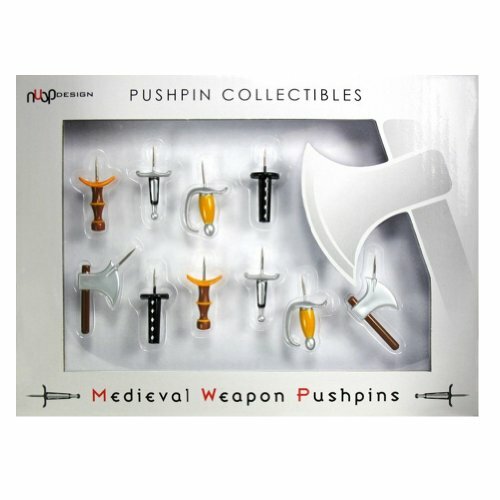 Medieval Weapon Push Pins - Moar Stuff - You don't need it but you know you want it. Do you play D&D or Pathfinder? Maybe you’re a huge GoT fan? 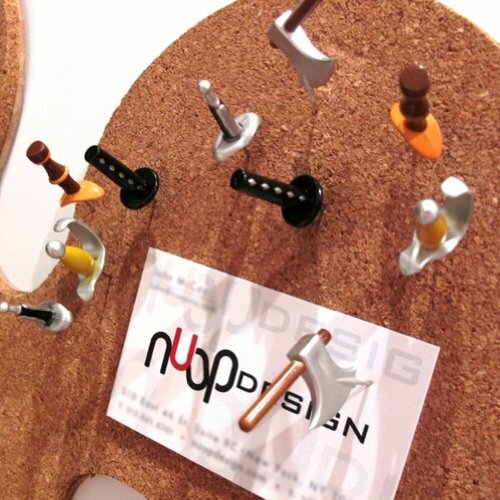 Well, in any case you’ll want this set of Medieval Weapon Push Pins for your office or home. This set of ten one-inch plastic pins is perfect for your cube wall or kitchen cork board. Each set comes with 2 Sabres, 2 Longswords, 2 Broadswords, 2 Katanas, and 2 Axes. Plenty of weapons to dispatch the latest office memo. The cork-board is not included. Sorry. Add a touch of your personality to any pin board. OR imagine stabbing your boss or coworker with one. Each set comes with 2 each of 5 different weapons. The push pins measure approximately 1″ long, not including the actual pin.